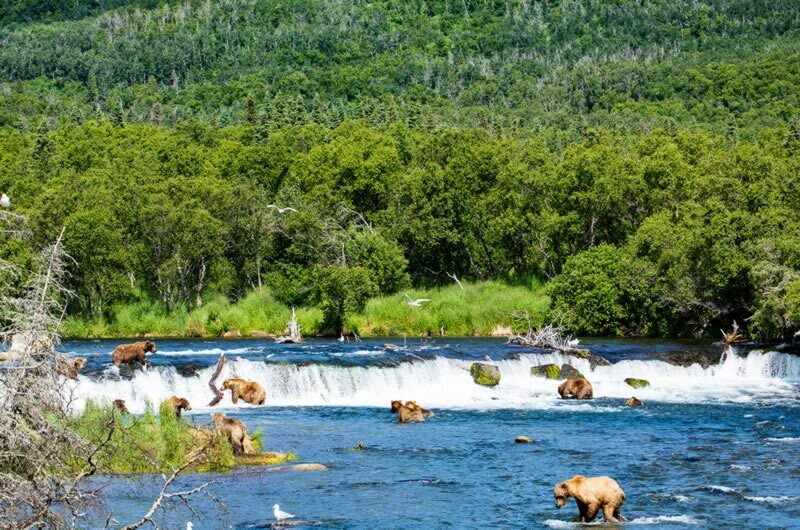 Alaska Bear Viewing is the best way to get out and explore the Alaskan wild. 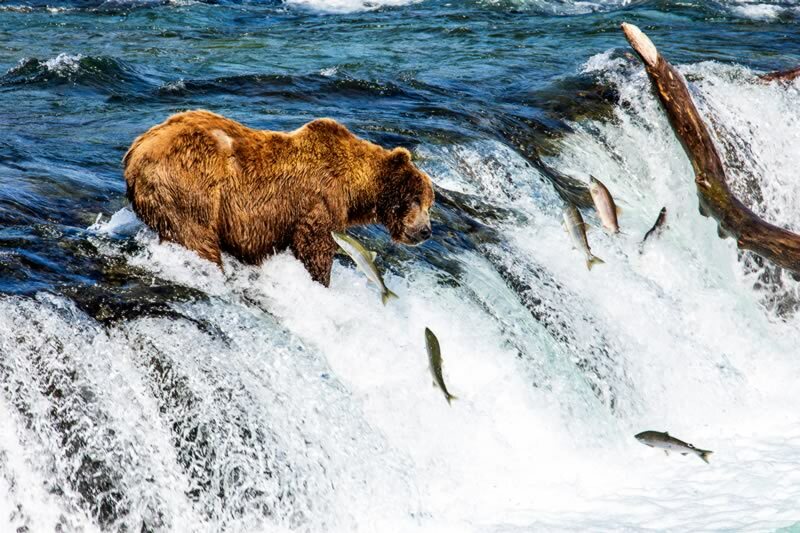 Let Regal Air take you face to face with the most impressive animals in Alaska. 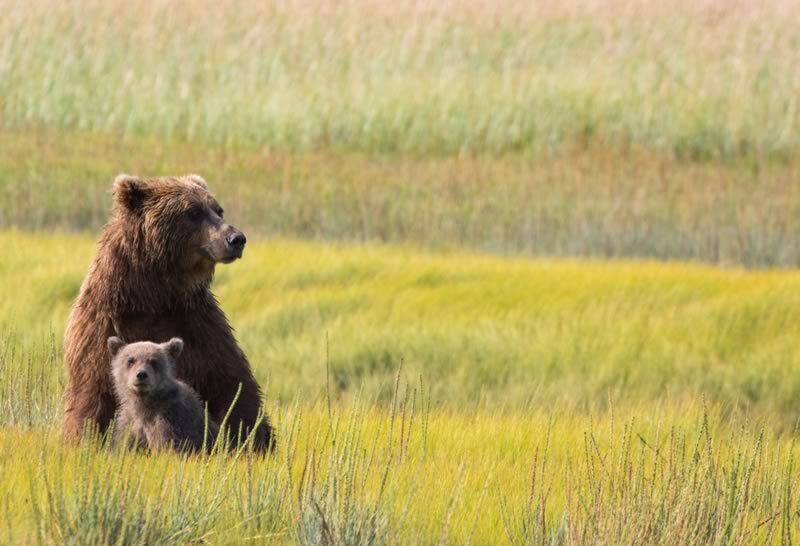 Grizzly bears, brown bears, and black bears are the kings of the Alaskan outback, and there is no better way to get out and go bear viewing than with a Regal Air bear viewing adventure out of Anchorage. 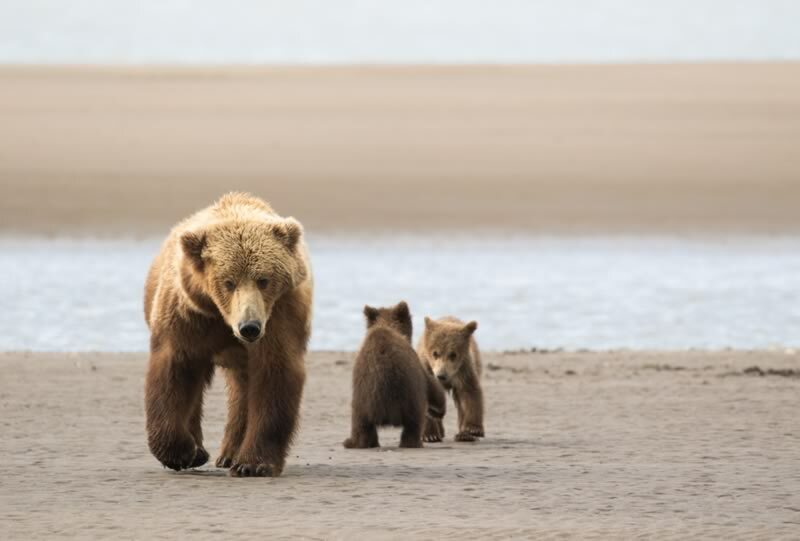 Alaska is home to over 35,000 brown bears and 50,000 black bears, and we know the best locations to give you the ultimate bear watching excursions. We offer many different bear viewing shore excursions to match your schedule and desires; from watching bears on waterfalls or meadows, watching grizzly bears or brown bears, on foot or on ATV, half day or full day, or whatever your desires, our bear viewing shore excursions are sure to be the highlight of your vacation. 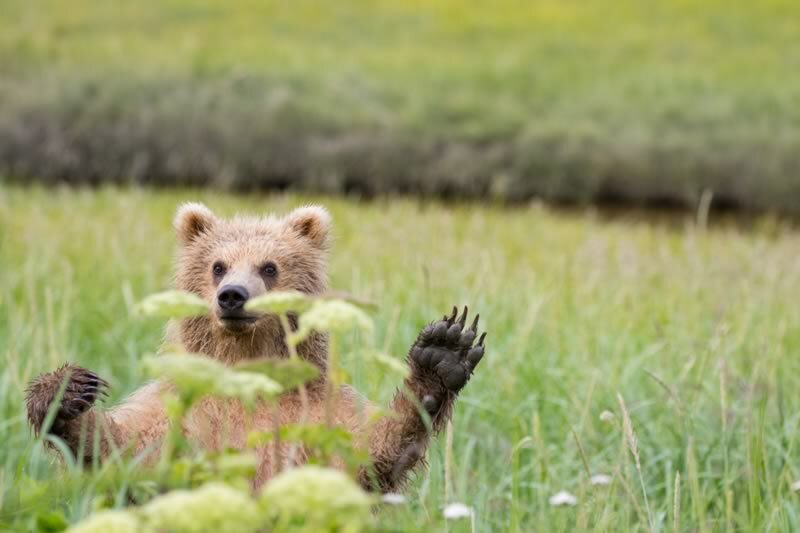 Whether you are a professional photographer, nature lover, first timer to the state, or a lifelong Alaskan – you are sure to be impressed by these incredible bears in their natural habitat. 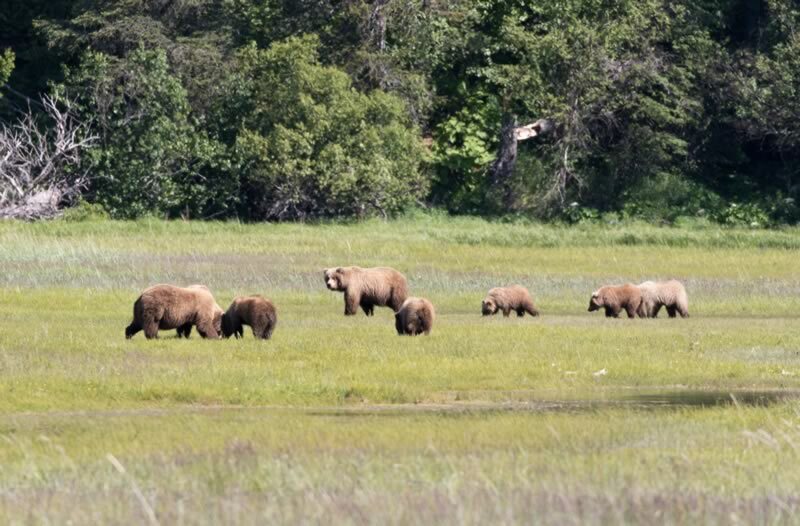 Start your day with a fantastic scenic flight over the Alaskan backcountry and fly directly into the heart of bear viewing country. Once there you will witness these magnificent creatures in there day to day lives. 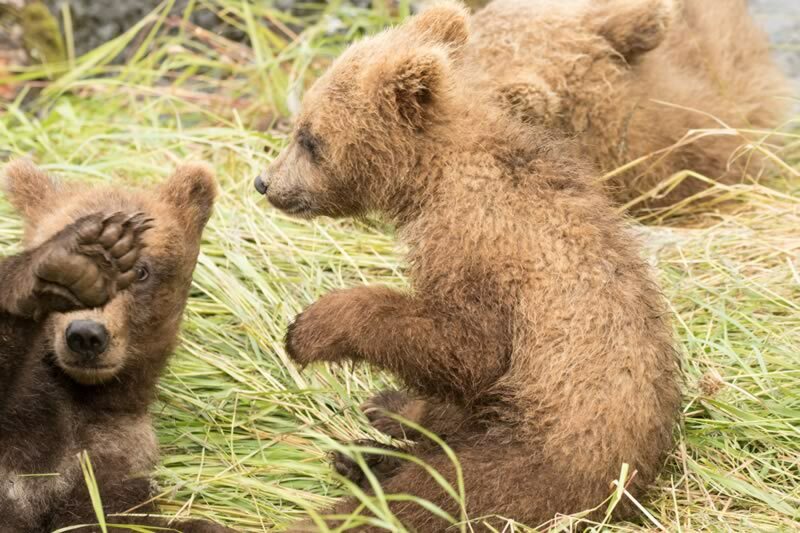 Watch them catch salmon from atop a waterfall, watch them frolic with their bear cubs, see them roam and play in berry covered meadows, and even watch them dig for clams on the beaches of the Cook Inlet. Regal Air Bear Viewing Schedule. 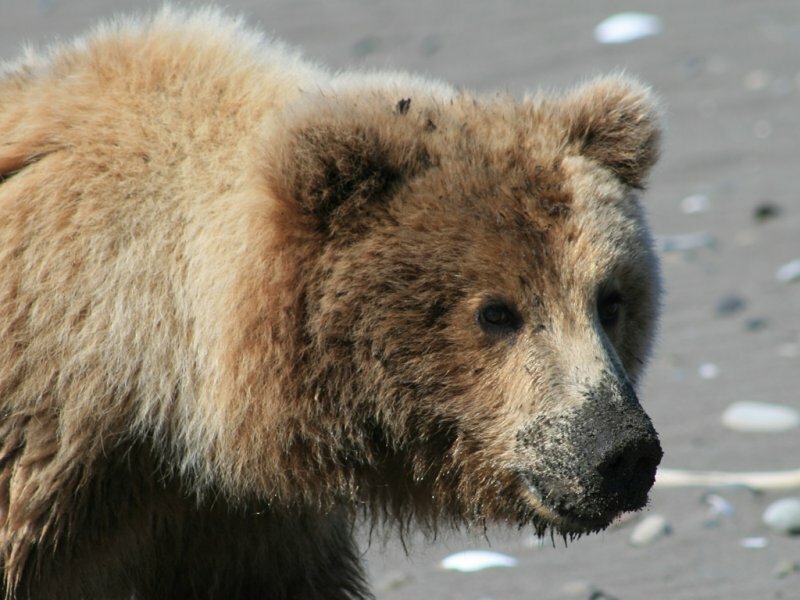 The best times to visit each of our bear viewing destinations can vary from year to year. depending on salmon runs and other natural changes. Please call us for the most recent information. 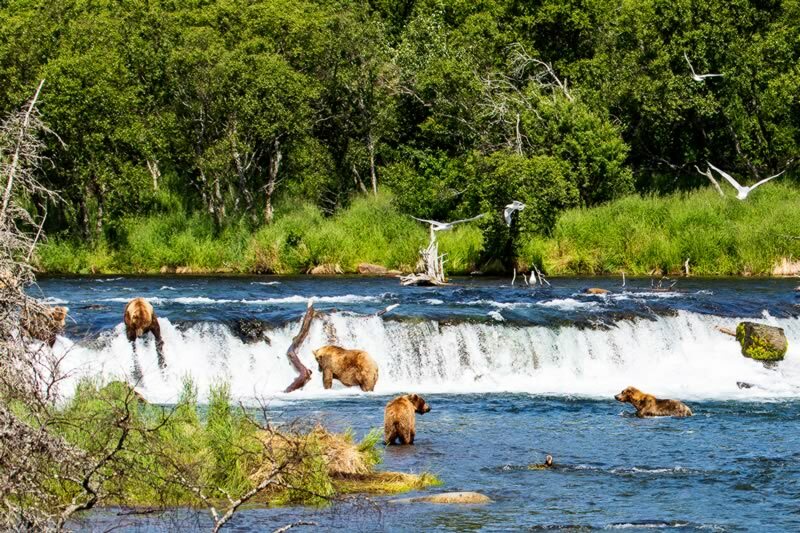 We have Bear Viewing tours to all of the most spectacular destinations: Silver Salmon Creek in Lake Clark National Park, Brooks Falls in Katmai National Park, Redoubt Mountain Lodge on Crescent Lake, and Big River Lakes in Redoubt Bay. Our number one concern is bear viewing safety. Regal Air has a perfect and unmatched safety record since our start in 1982, and we plan on keeping it that way. 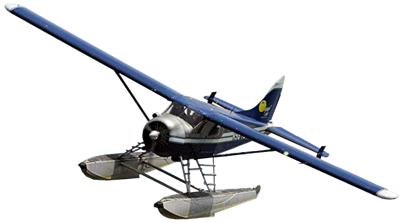 We pride ourselves on having a clean and well maintained fleet of dependable aircraft to take you Bear Viewing. Once in bear country your guide’s top concern is your safety. 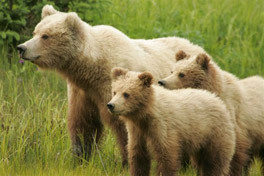 They are trained and familiar with the local bears and know all the safe practices to keep everyone out of harm’s way. 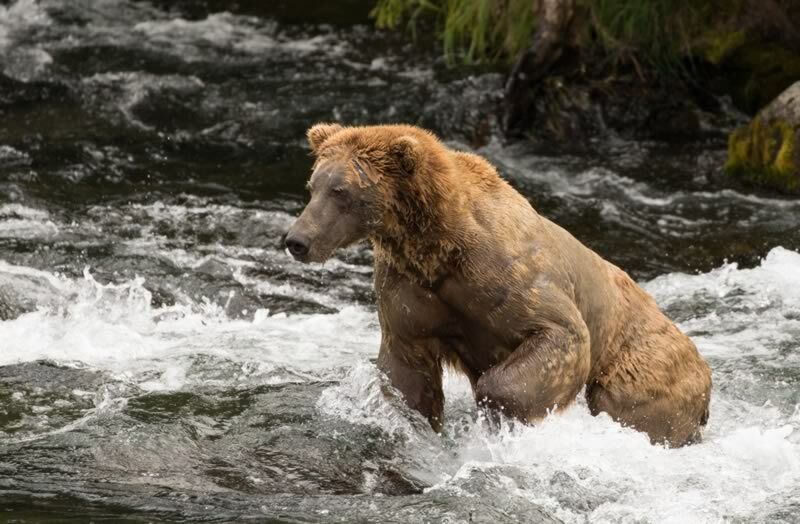 Bears weights fluctuate up to 200 pounds between when they are lightest in the spring and the heaviest in the fall. 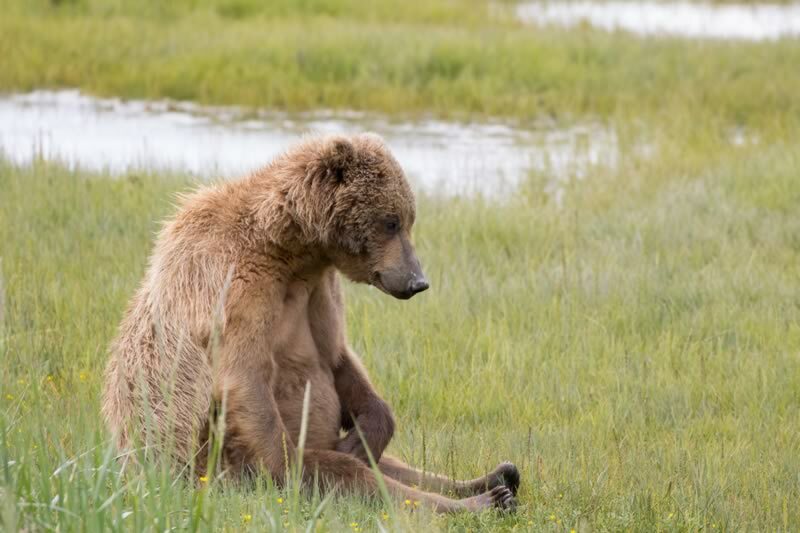 Click the following link to view the US Fish and Wildlife Service’s “Alaska Digital Wildlife Photography Handbook”. 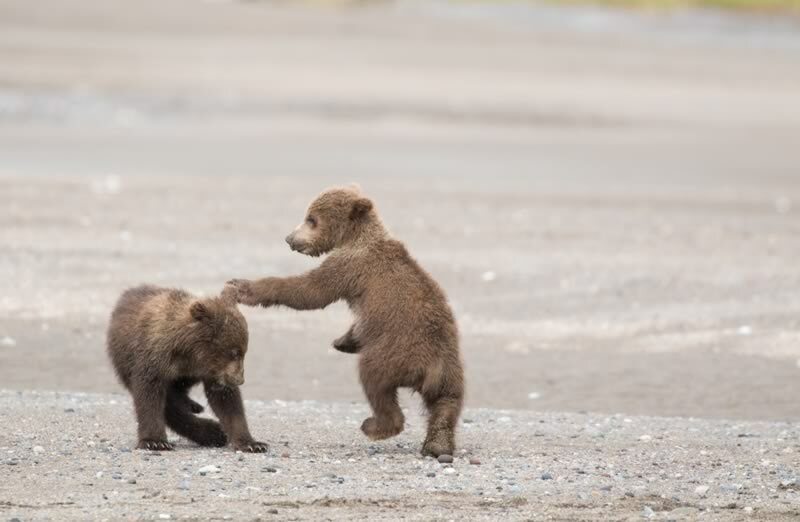 A great tool for getting the perfect shot of Grizzly Bears to share with your friends. 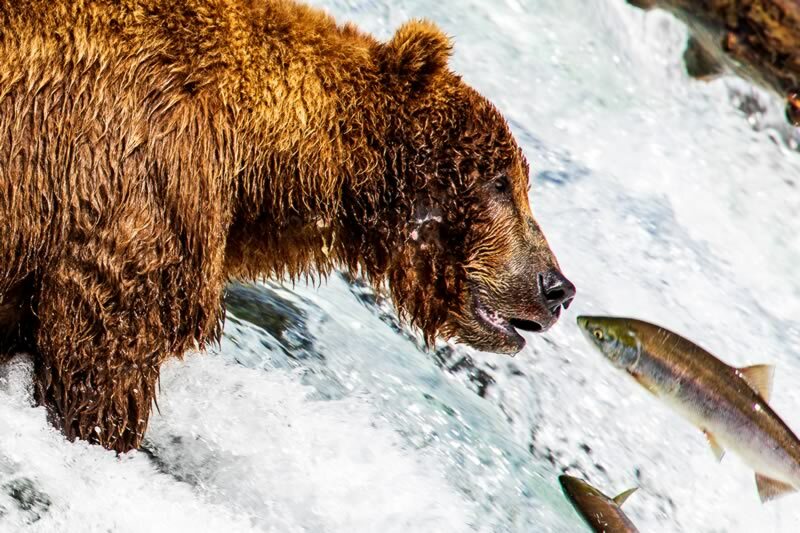 Alaska Bear Viewing Tours from Anchorage with Regal Air are the only way to get out and see the true wild side of Alaska. These trips have been making memories of a lifetime for our visitors, and are sure to do the same with you. 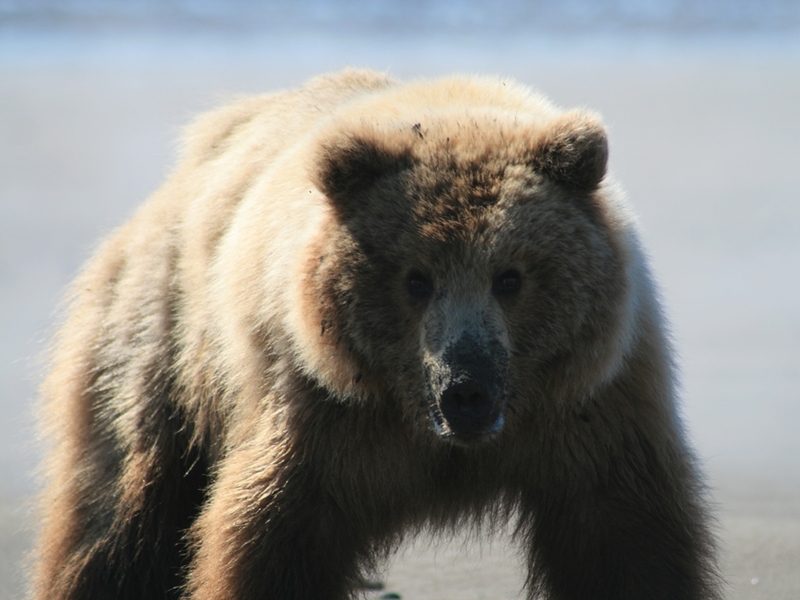 To book your Alaska Bear Viewing Tour today contact us to make your reservations! Click thumbnail to bring up larger image.